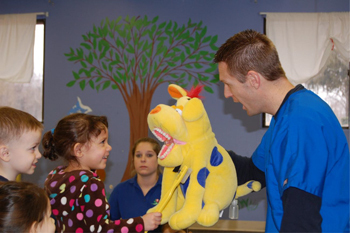 As good neighbors in their community, Growing Smiles staff spends countless volunteer hours providing dental health screenings and education to impoverished children enrolled in organizations like Harford County Early Headstart programs and Catholic Charities’ Esperanza Center. Growing Smiles also donates preventive oral health supplies such as toothbrushes, toothpaste, and dental floss to school-aged kids in need, visits local schools and childcare centers, and supports local charities, Harford County public and private schools, and other organizations with sponsorships, collection drives, and advertising dollars. 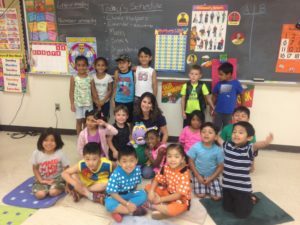 Growing Smiles visits daycare facilities, community centers, and schools to provide dental care education to preschoolers and parents, school-age children, and young adults. Contact our office at 410-569-6700 (Bel Air) or 410-697-9000 (White Marsh). You may also Email Growing Smiles to arrange a visit to your school. 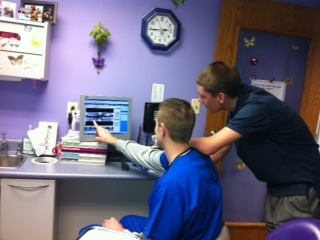 Do you have a high school student in your family who is interested in a career in dentistry? Contact your school and our office at 410-569-6700 or Email Growing Smiles to find out how you can participate in an “externship” with Growing Smiles. Students will be introduced to the science of dentistry and have the opportunity to shadow our dental staff and observe the work that they do.